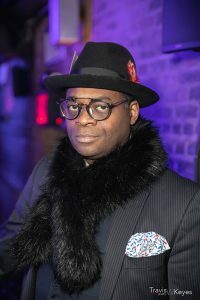 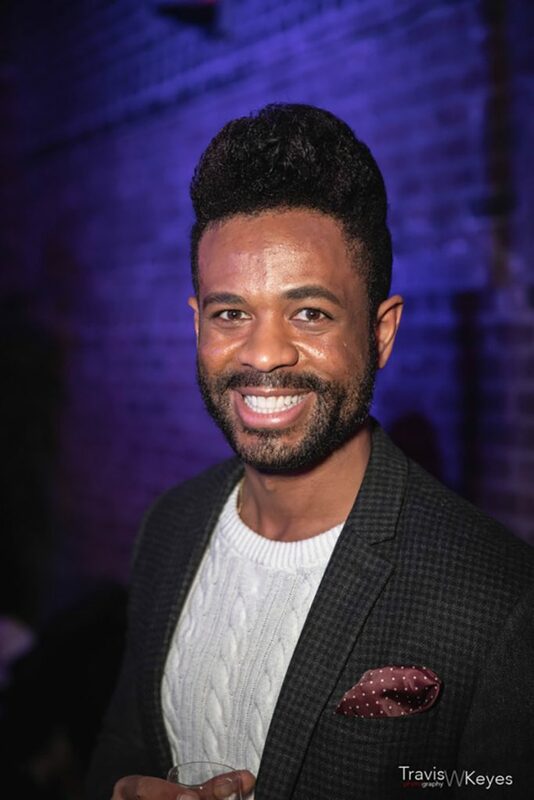 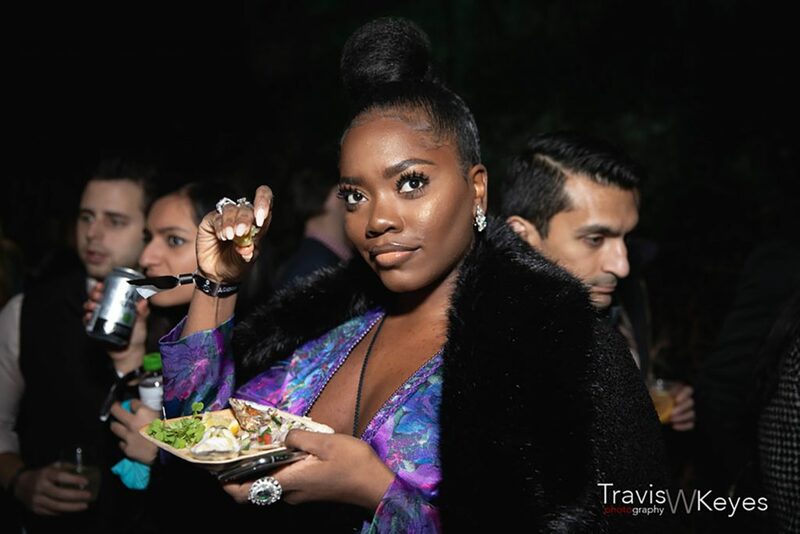 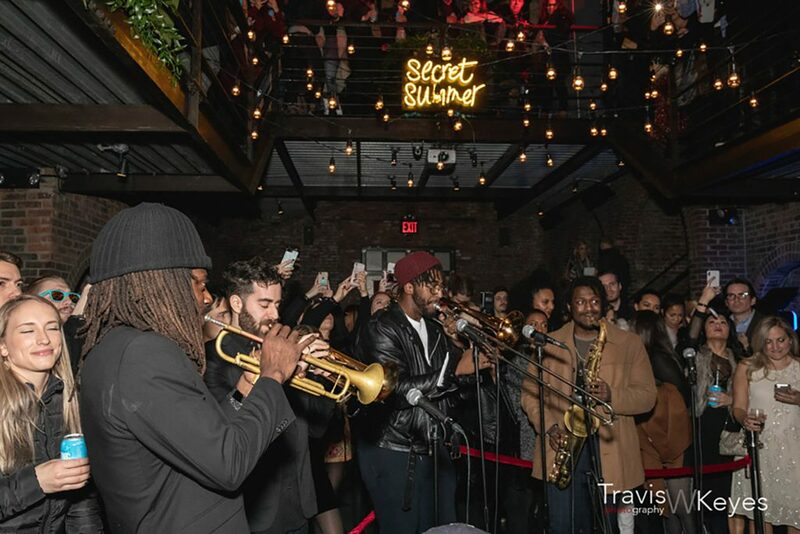 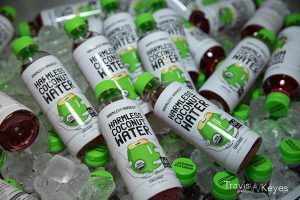 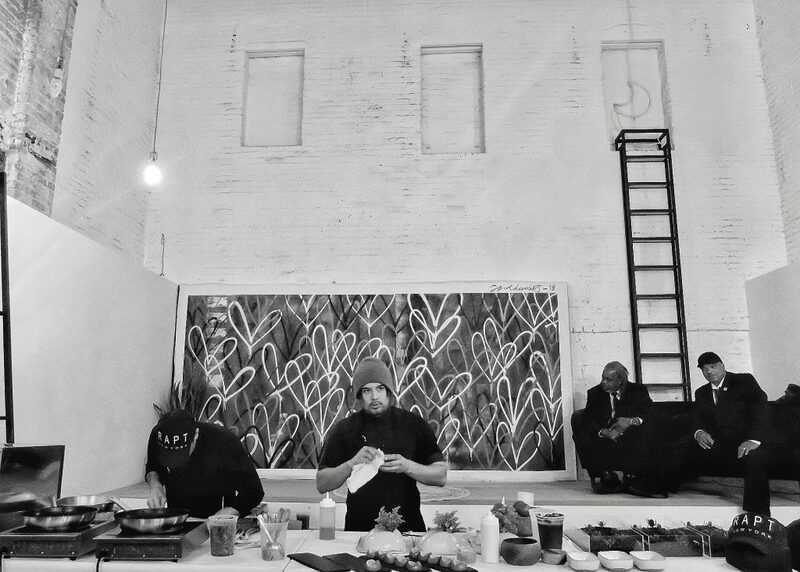 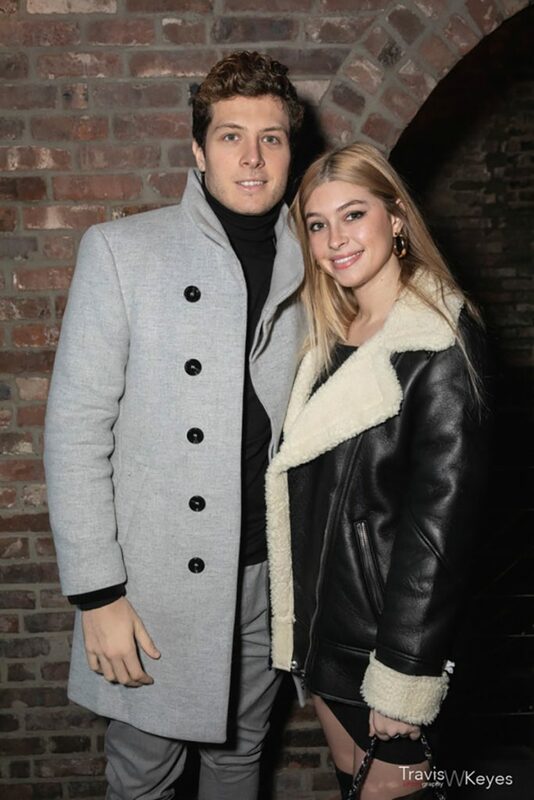 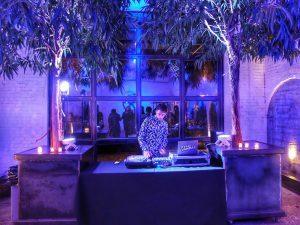 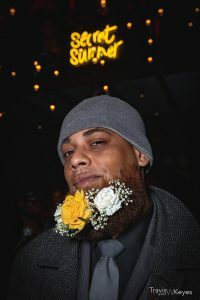 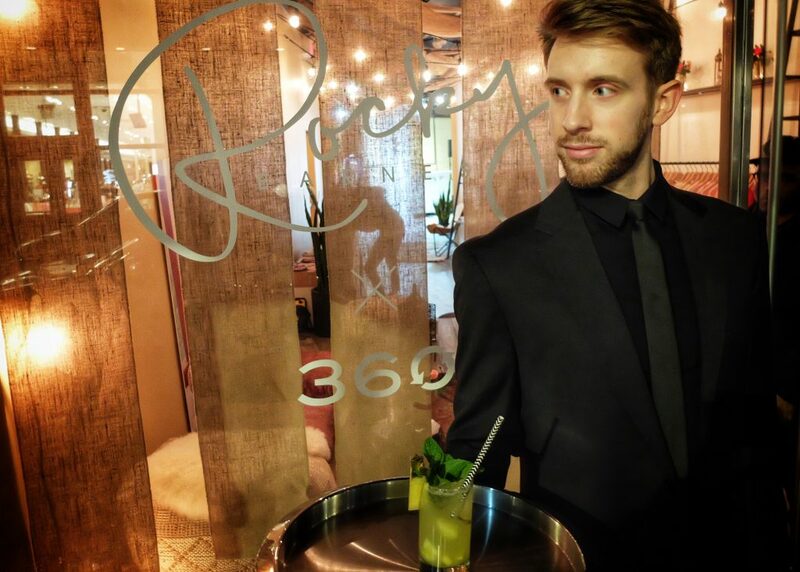 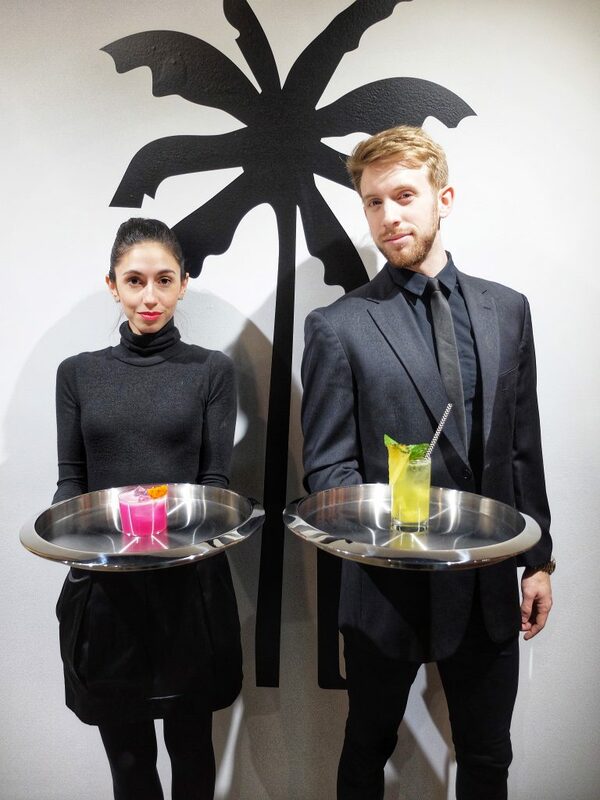 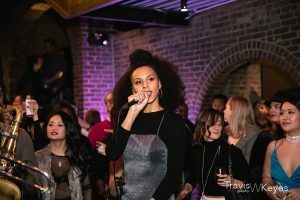 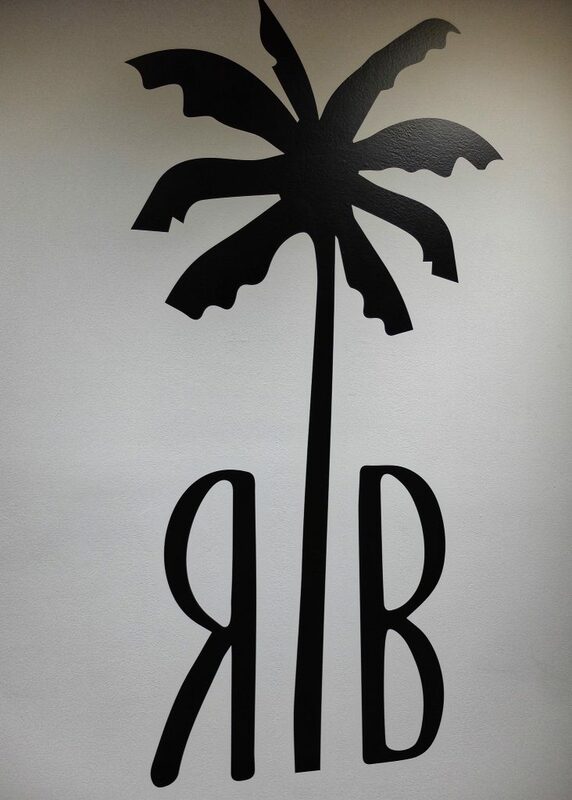 Highlife was tapped by Rock Barnes x Cashmere 360 to cultivate the food and beverage program for the launch of the Rocky Barnes collaboration with Cashmere 360 during the NYFW launch of their Soho pop-up in 2019. 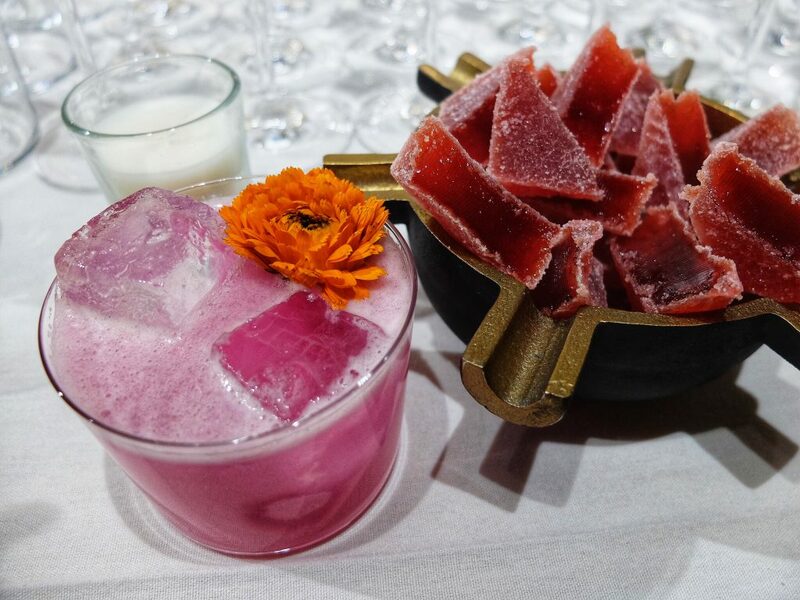 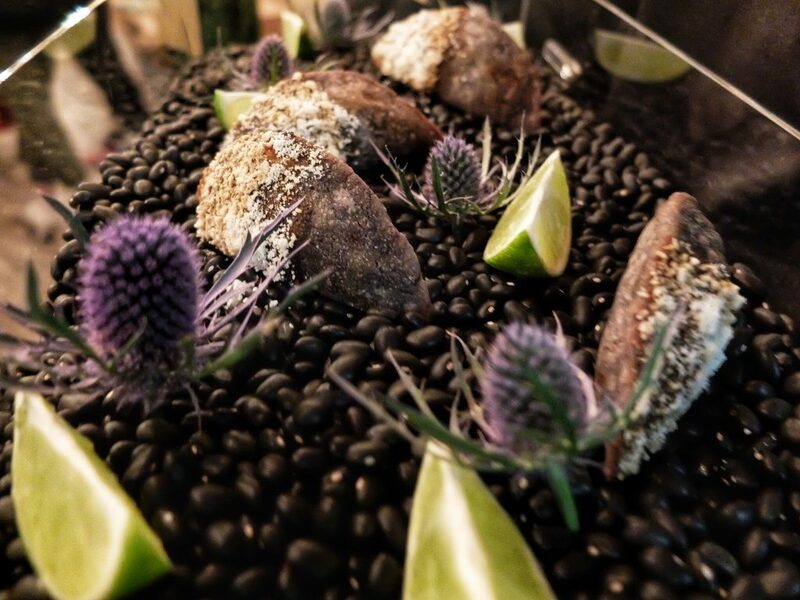 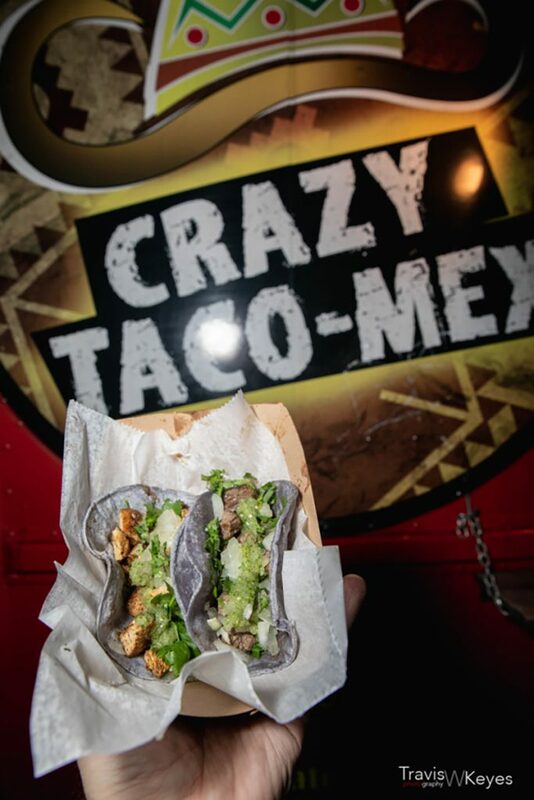 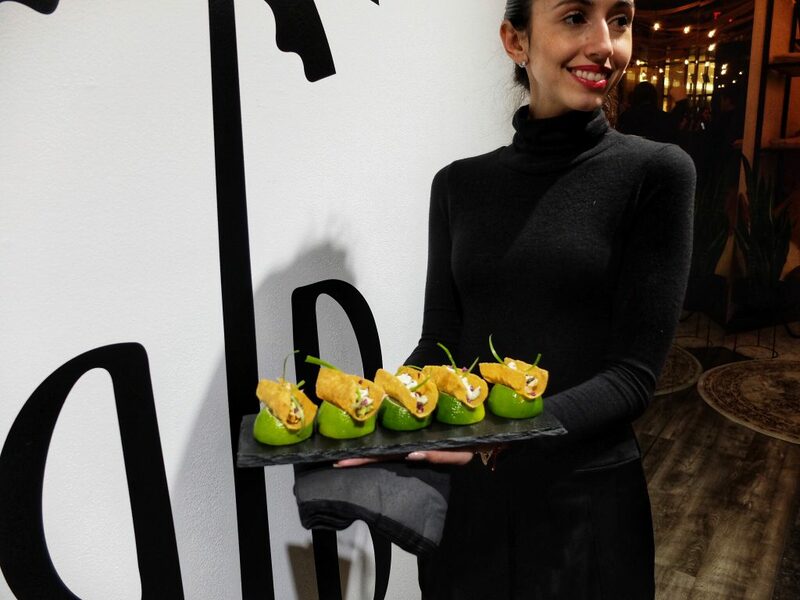 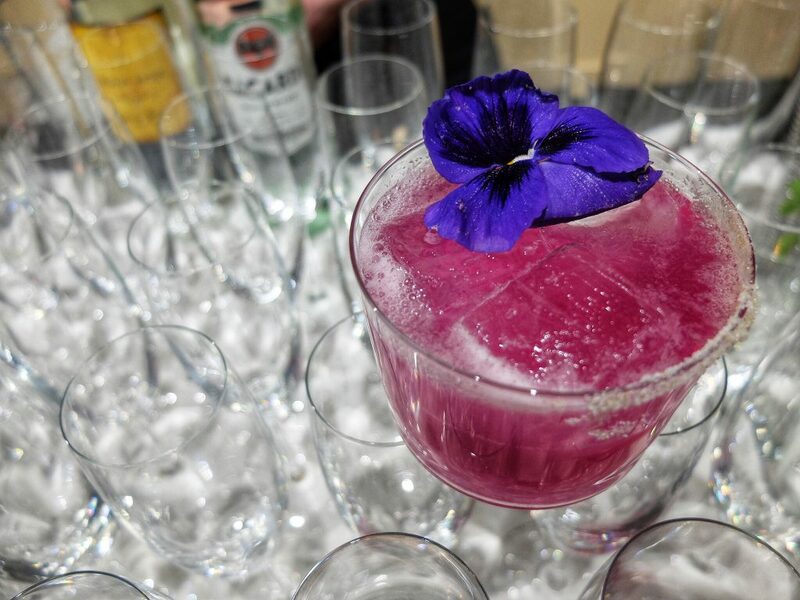 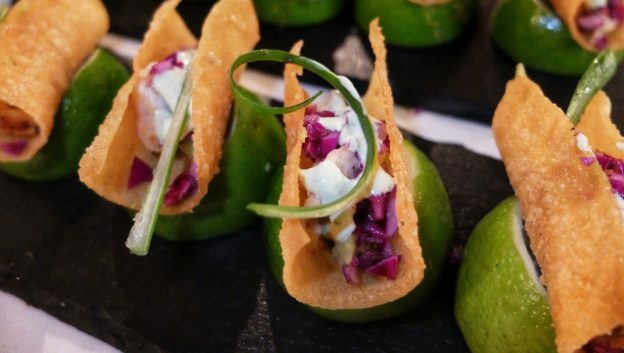 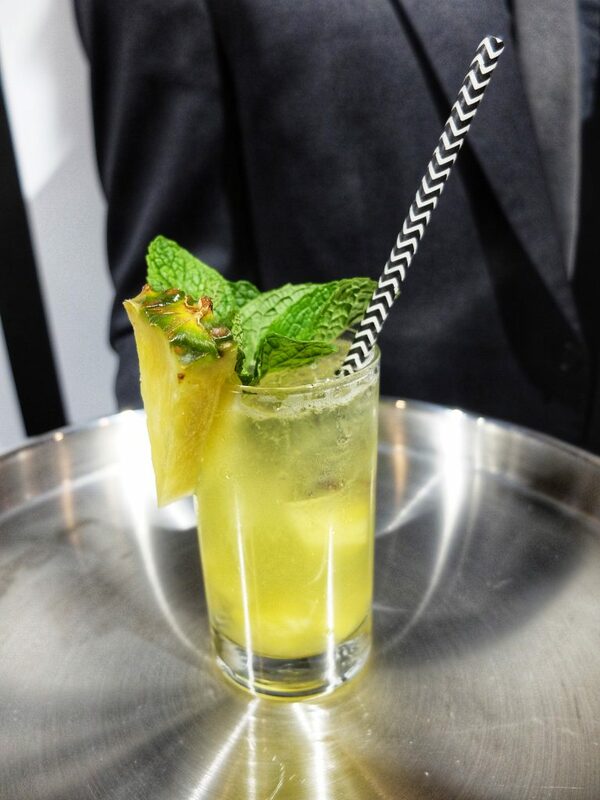 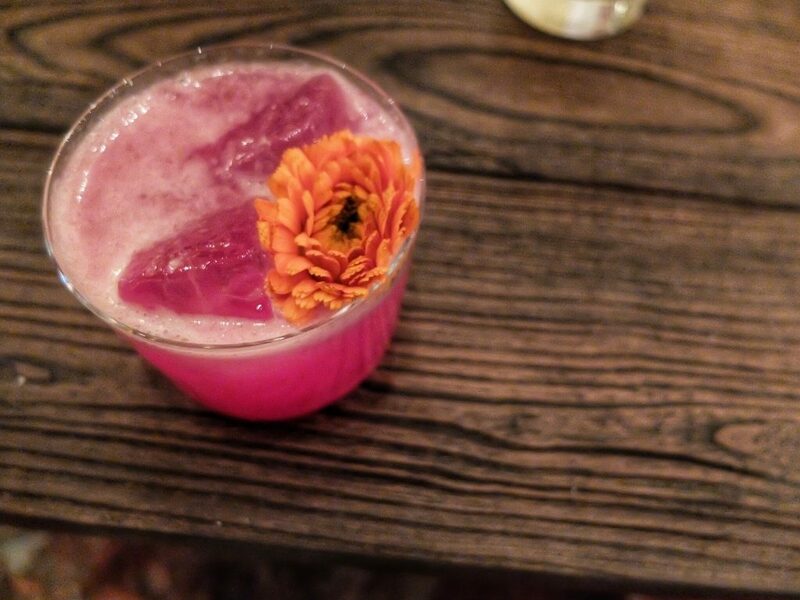 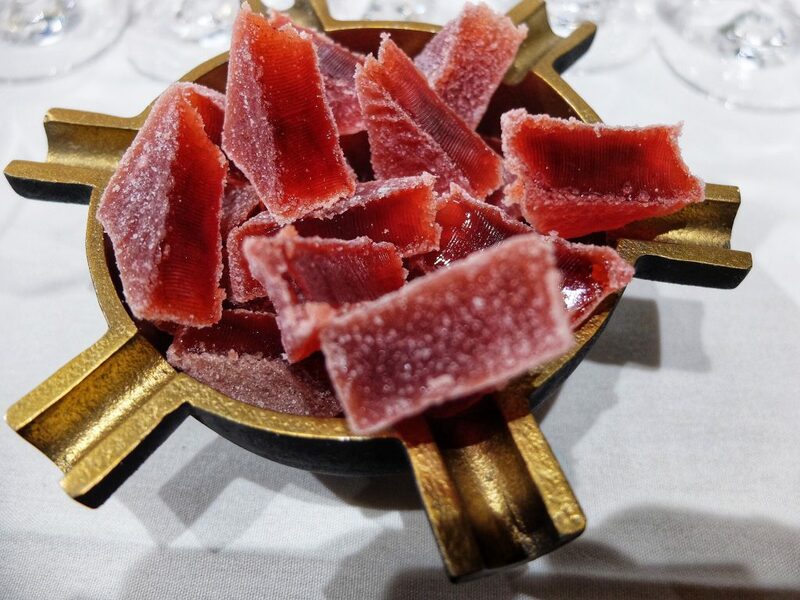 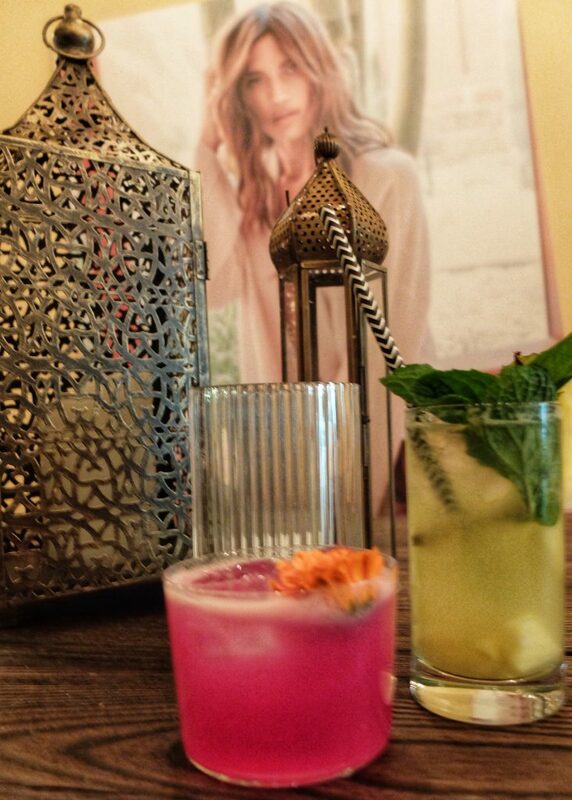 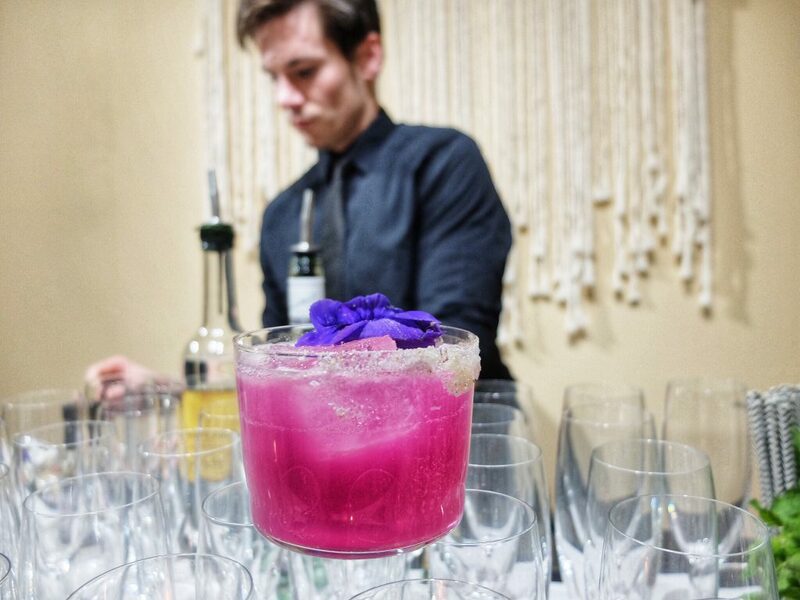 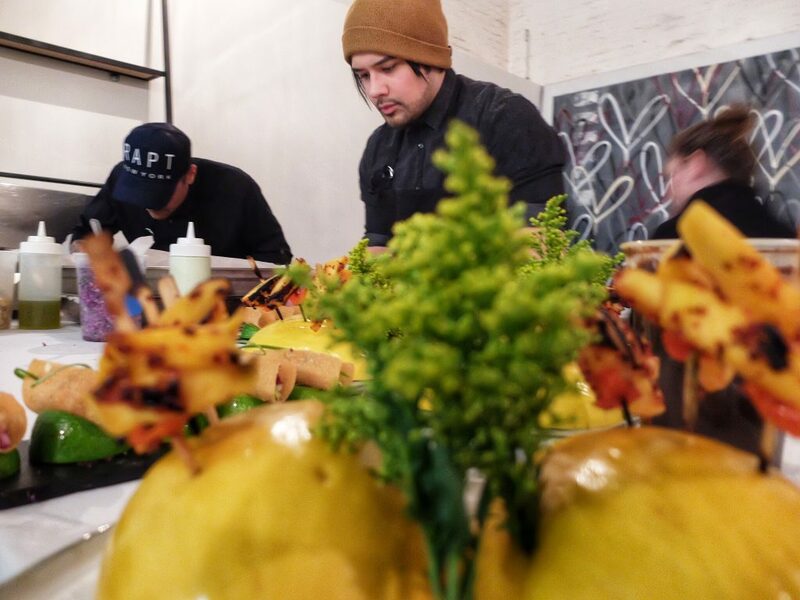 Talum inspired bites like the marinated red snapper tacos, grilled ripe mango tajin, and homemade blue corn masa empanadas were on the menu while guests sipped on spicy/smoky prickly pear margaritas and luxe pineapple agua frescas. 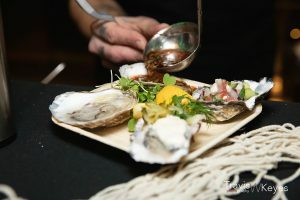 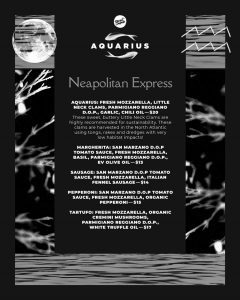 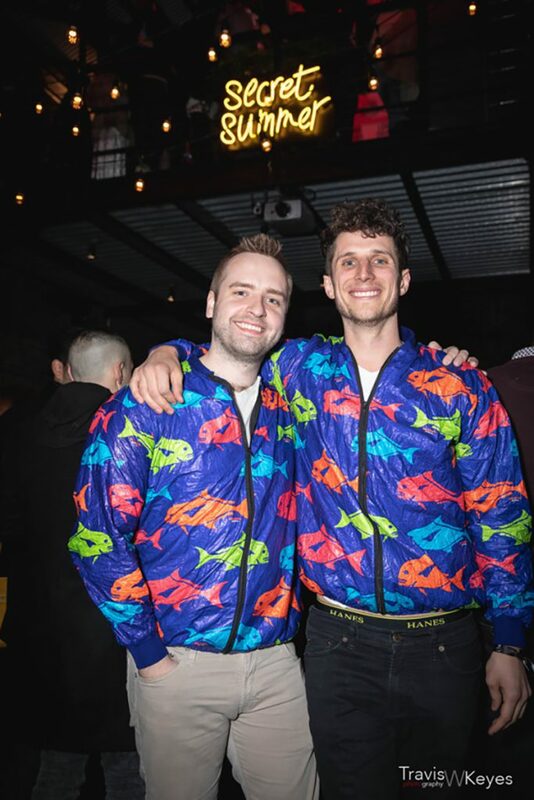 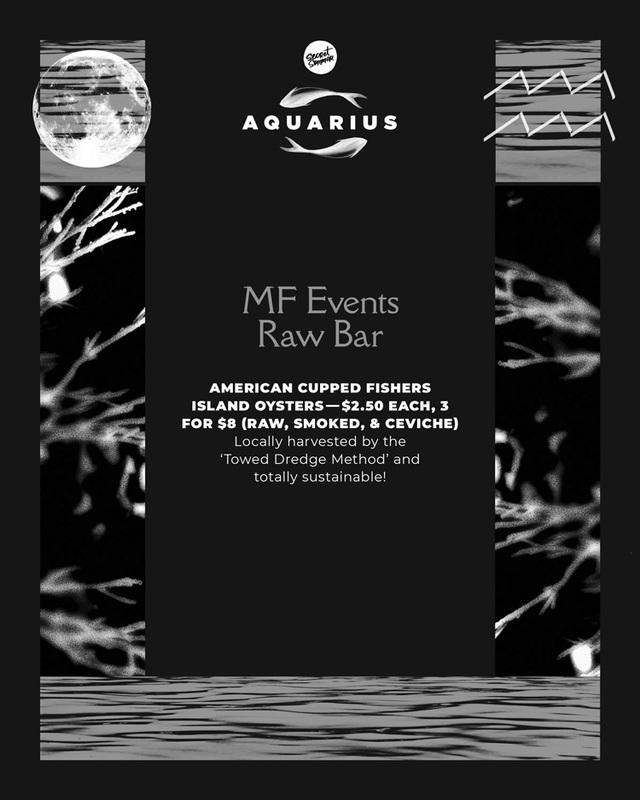 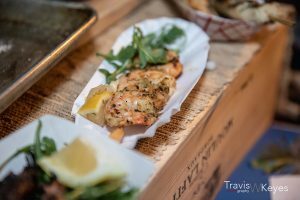 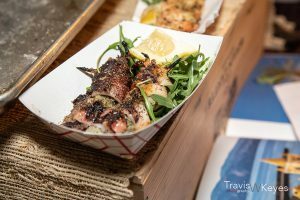 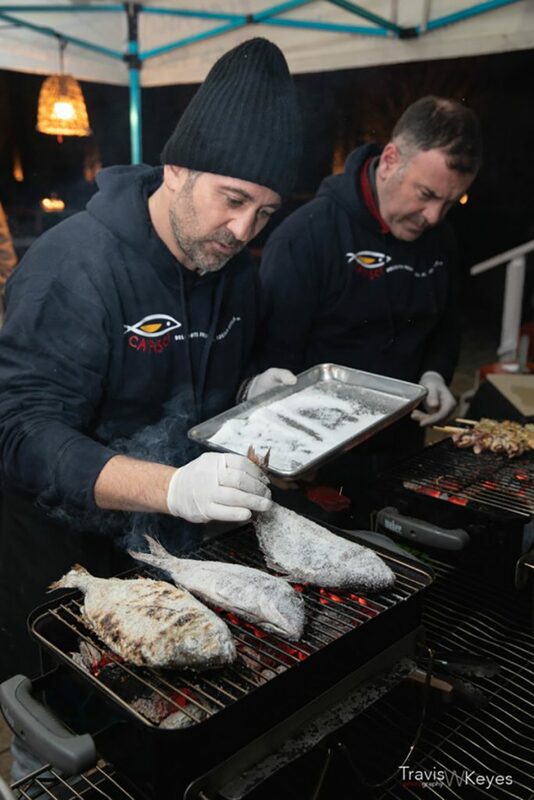 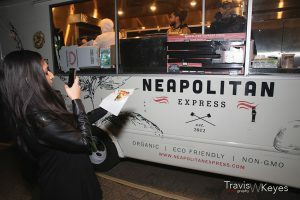 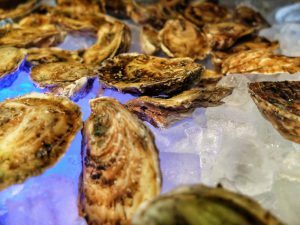 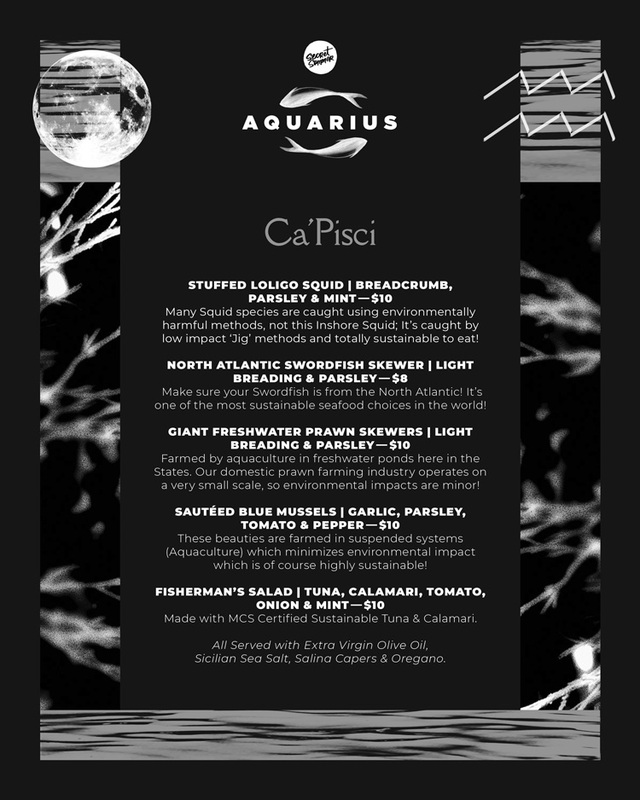 The Nation’s First and Only Sustainable Seafood Festival, Aquarius, Returned to the Foundry in Long Island City on January 26. 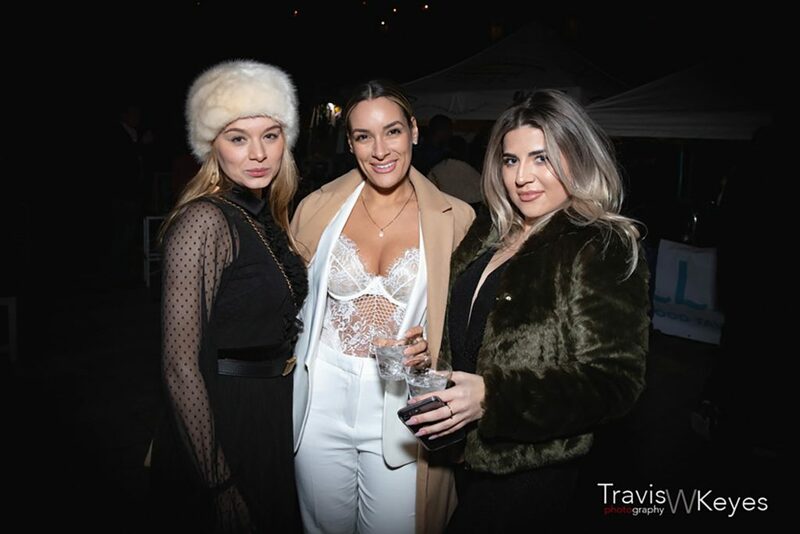 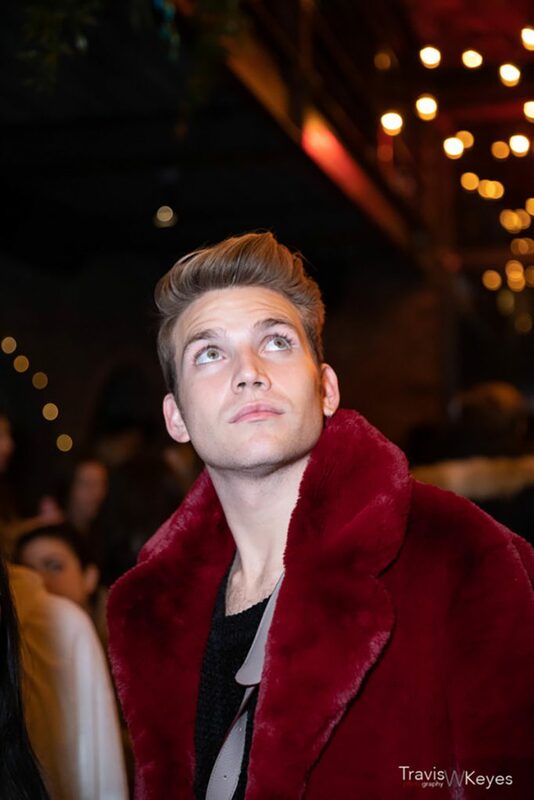 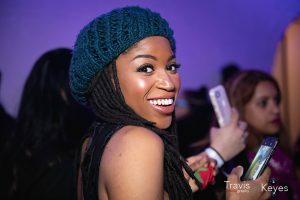 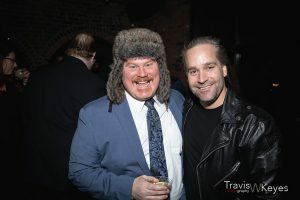 The 2nd Annual arctic-chic Aquarius festival, highlighting sustainable seafood and cocktails took place at The Foundry in Long Island City on Saturday, January 26th. 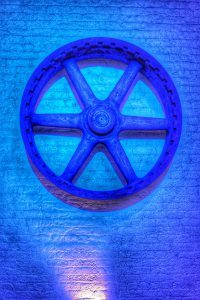 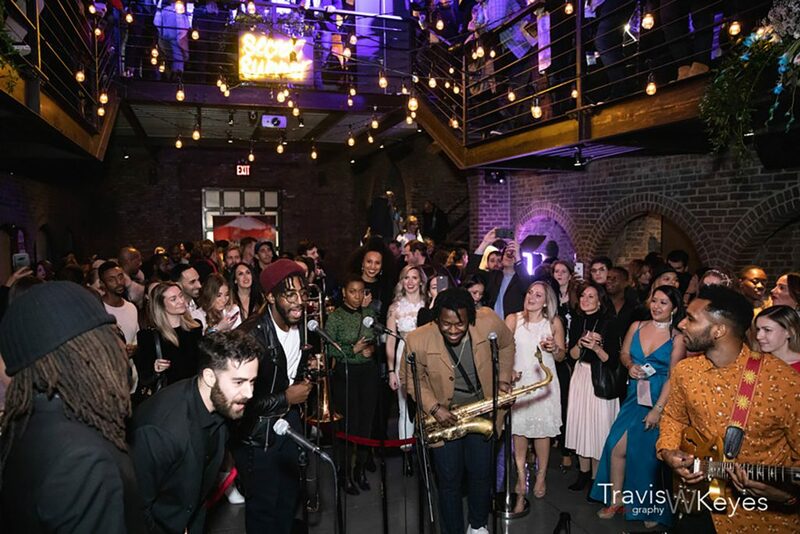 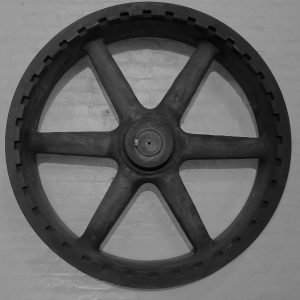 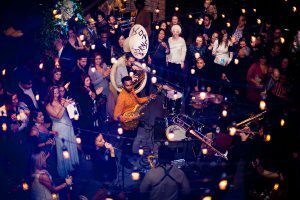 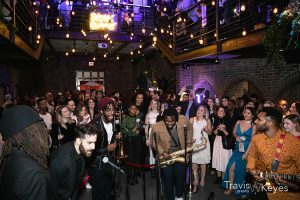 The fully restored 19th Century building, which boasts 3,000 sprawling square feet of space and offers up stunning views of the Manhattan skyline along with a gorgeous indoor Greenhouse, played host to this year’s sold-out event. 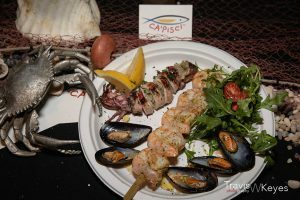 The stunning space was filled with delicacies from the sea that were perfectly paired with complimentary spirits. 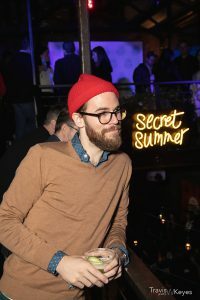 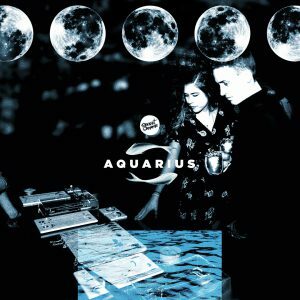 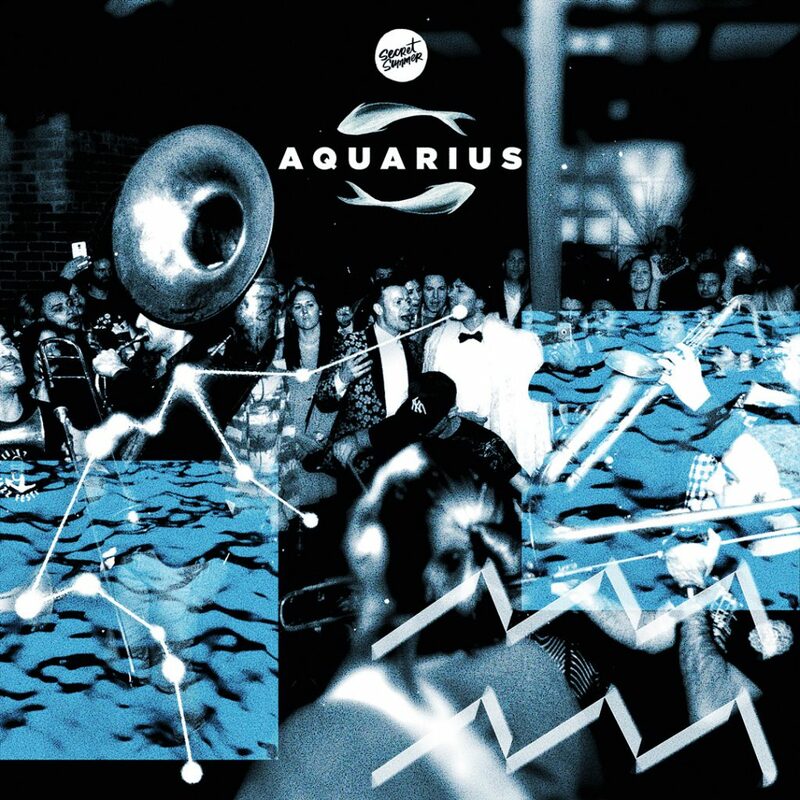 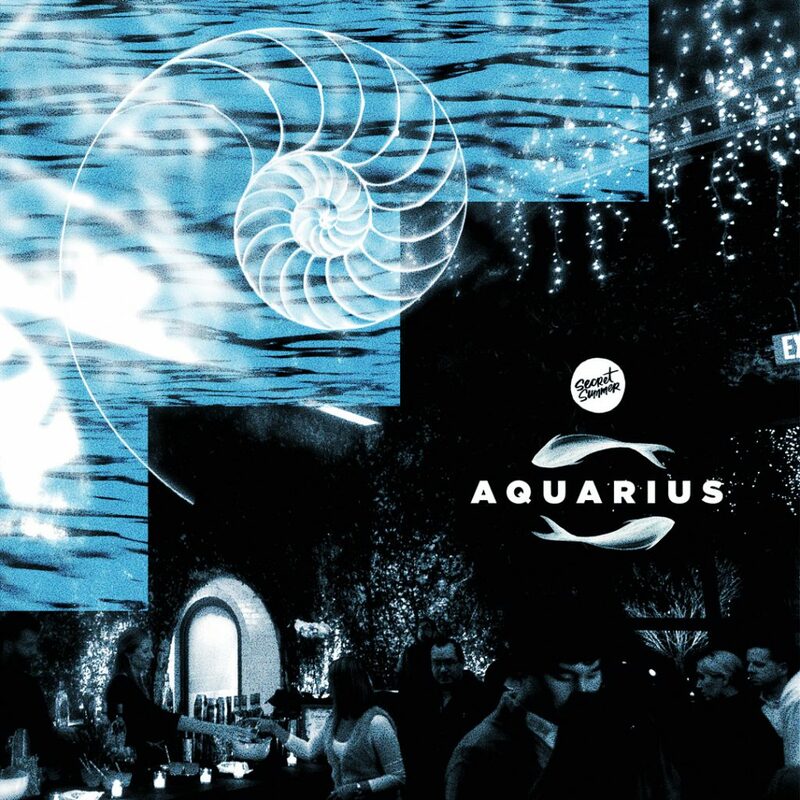 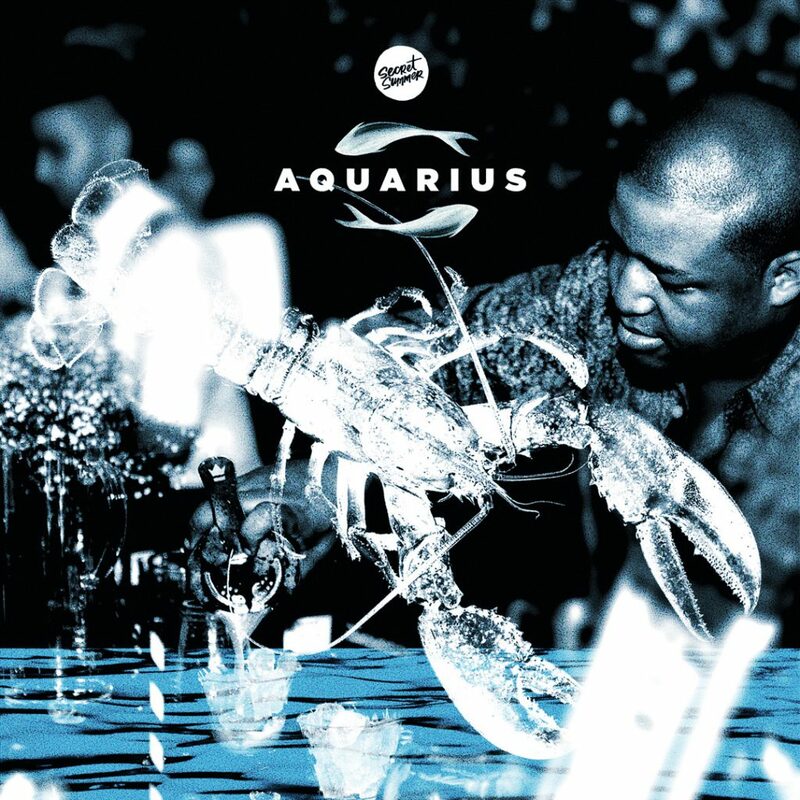 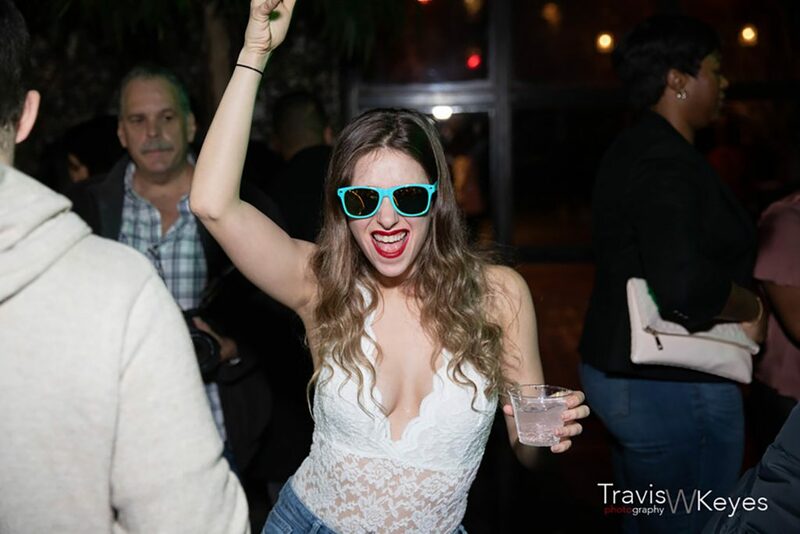 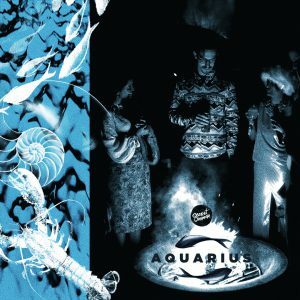 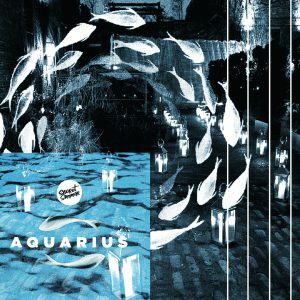 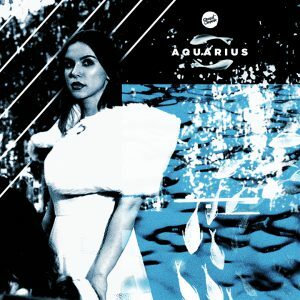 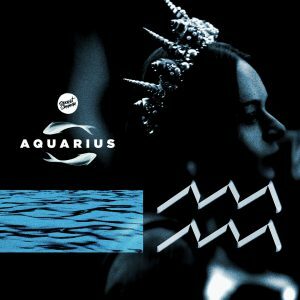 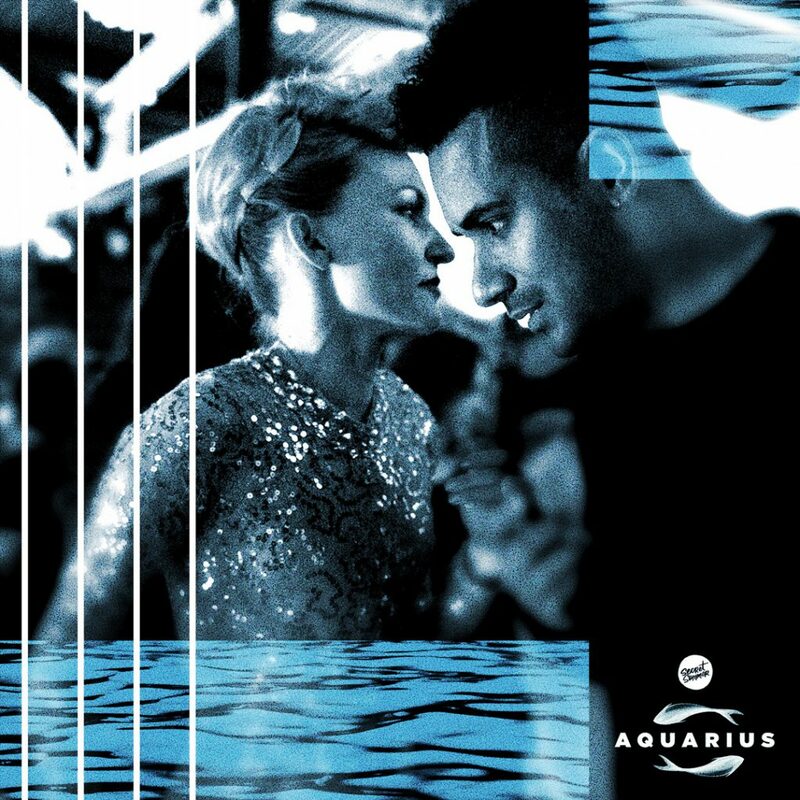 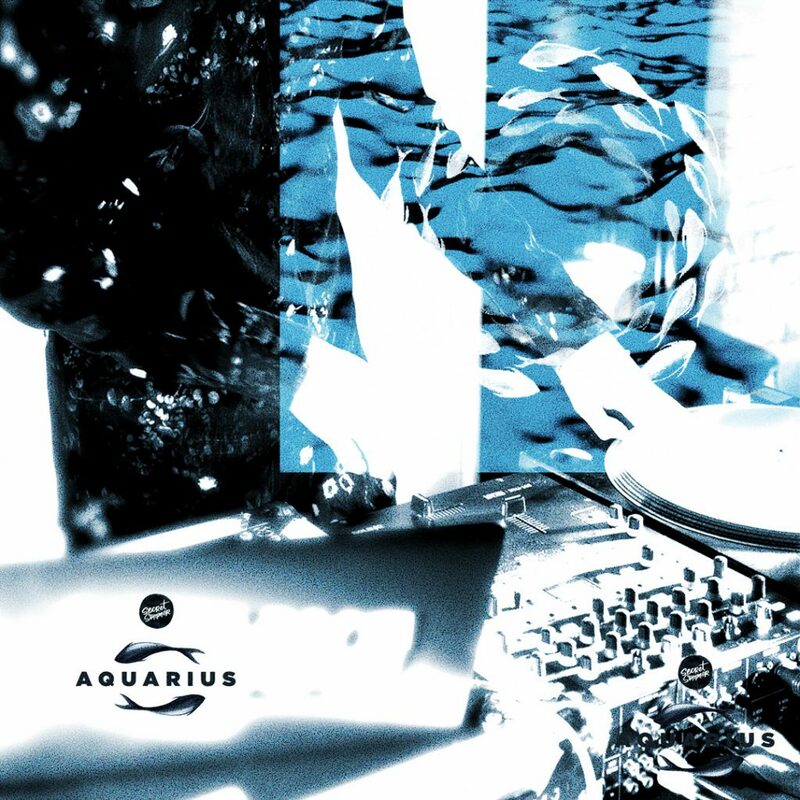 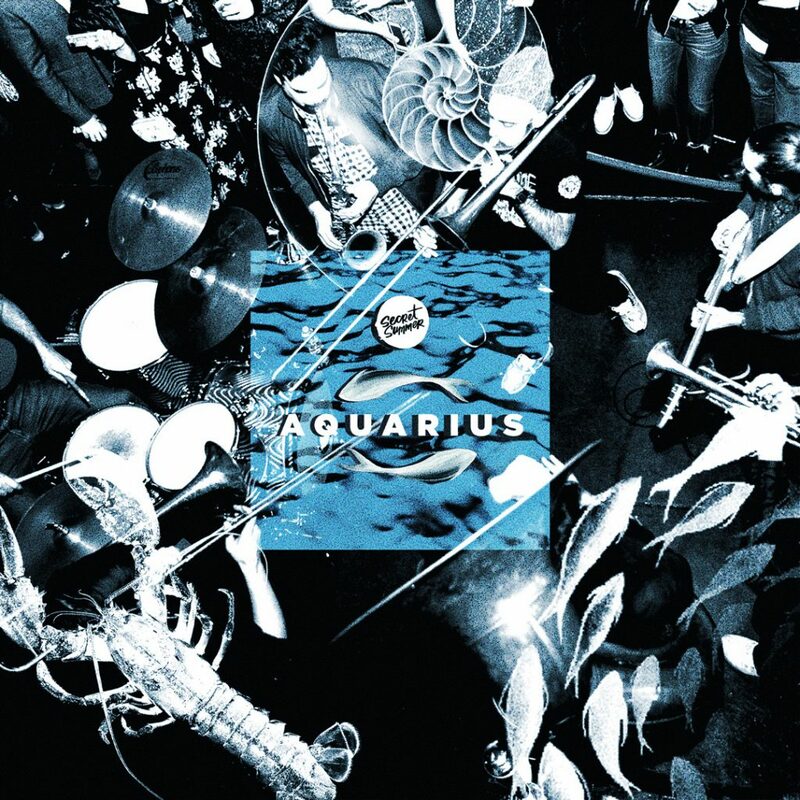 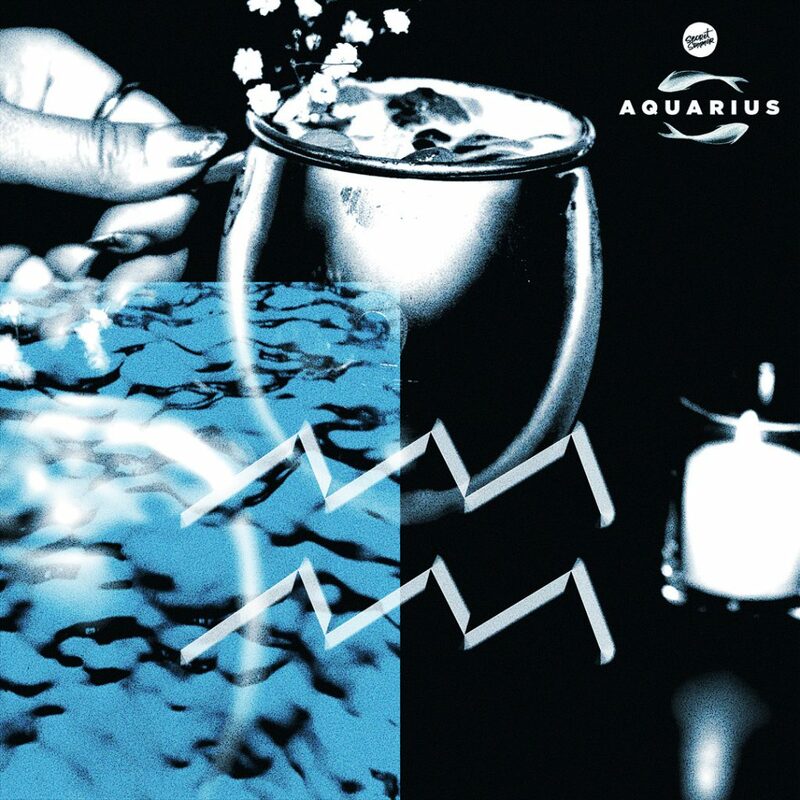 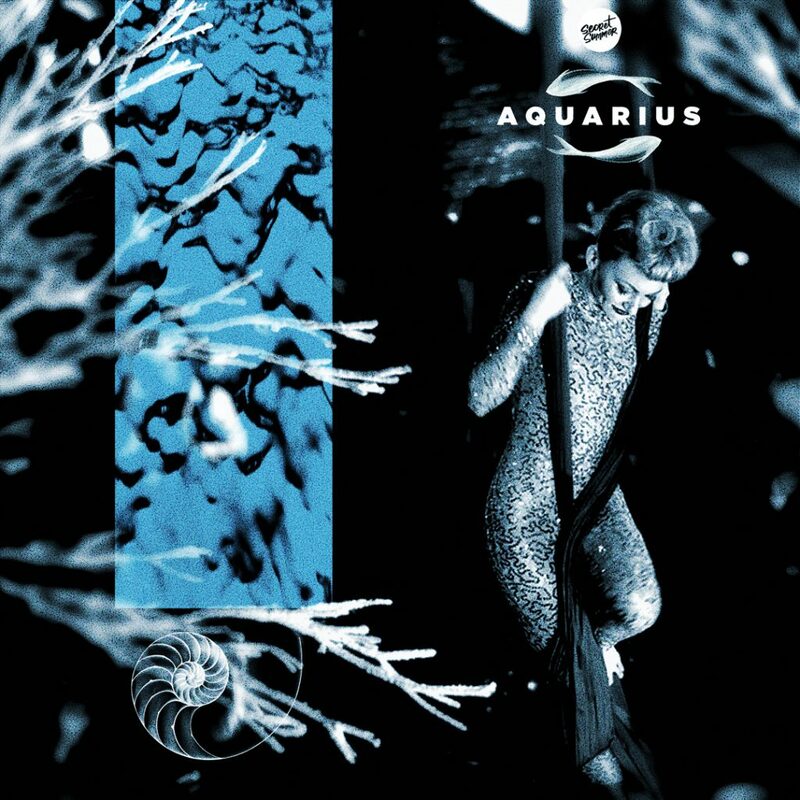 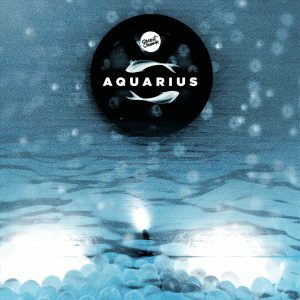 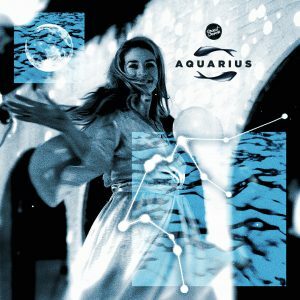 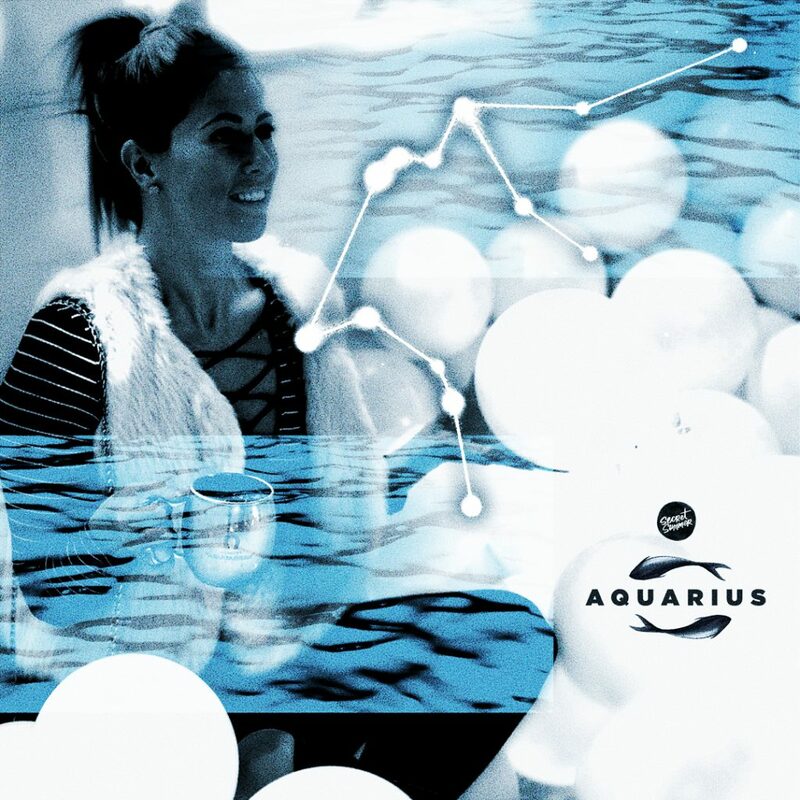 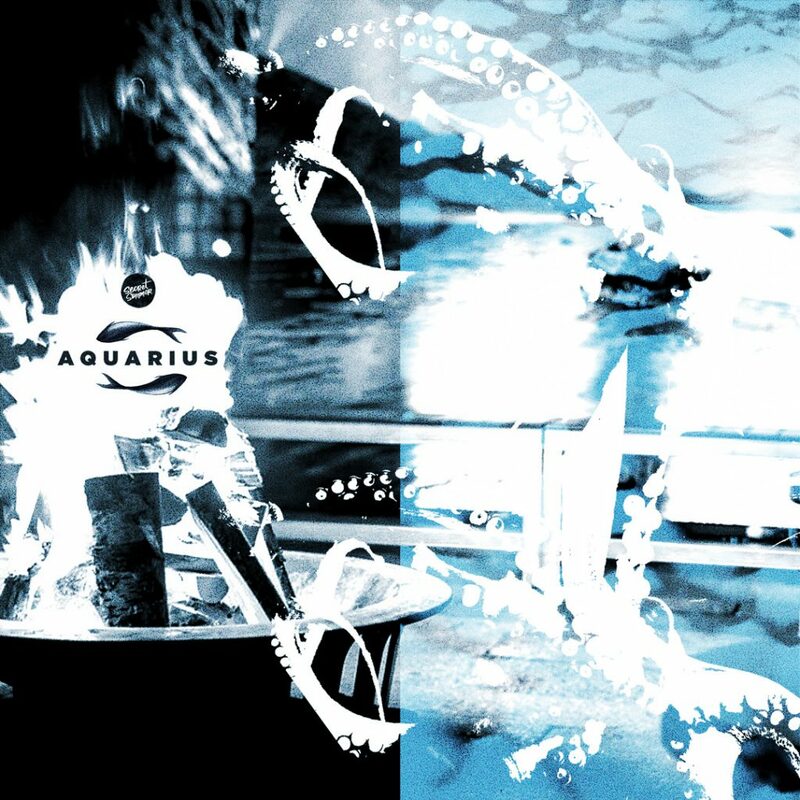 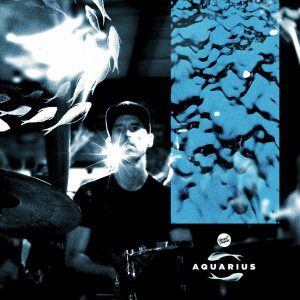 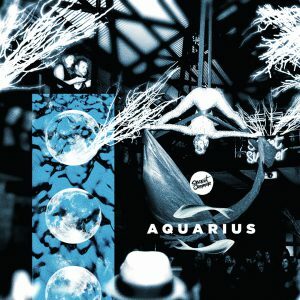 Aquarius comes to life each year courtesy of the talented producers of Secret Summer, Tyler Hollinger of HighLife Productions, Andrew Maturana of RAPT and Allison du Val of The Foundry. 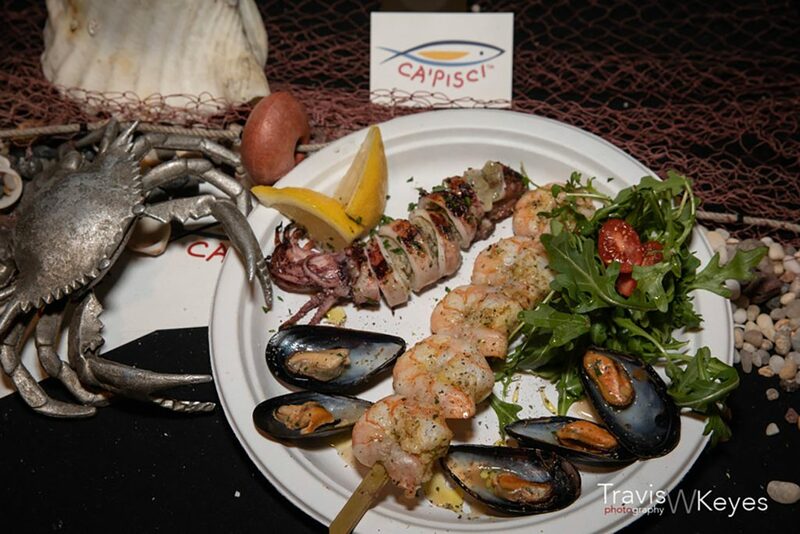 Sustainable seafood offerings were as vast as the ocean. 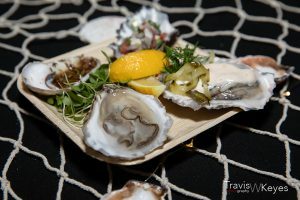 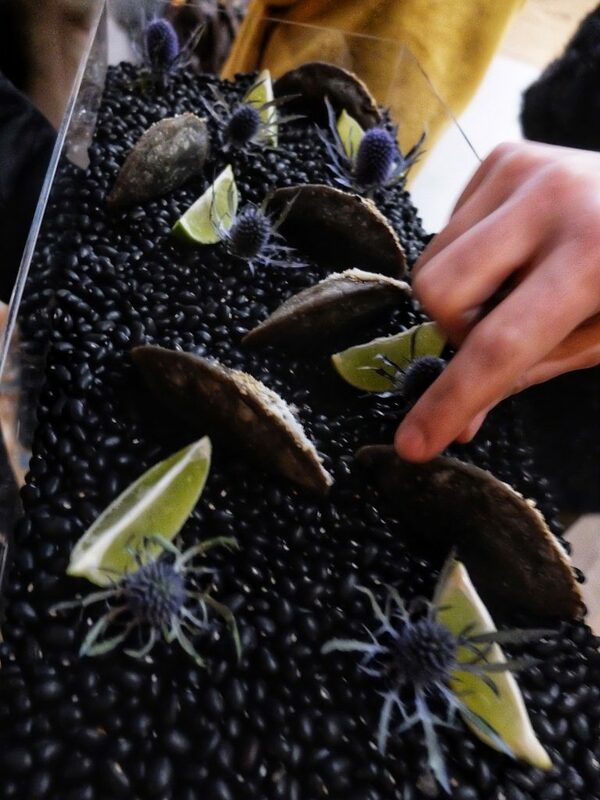 MF EVENTS had a raw bar filled with oysters served three ways. Midtown Greek hotspot Kellari Taverna,CA’PISCI in Williamsburg, Crazy Taco Mex, Neapolitan Express and My/Mo Mochi Ice Cream all offered up delicious snacks as well. 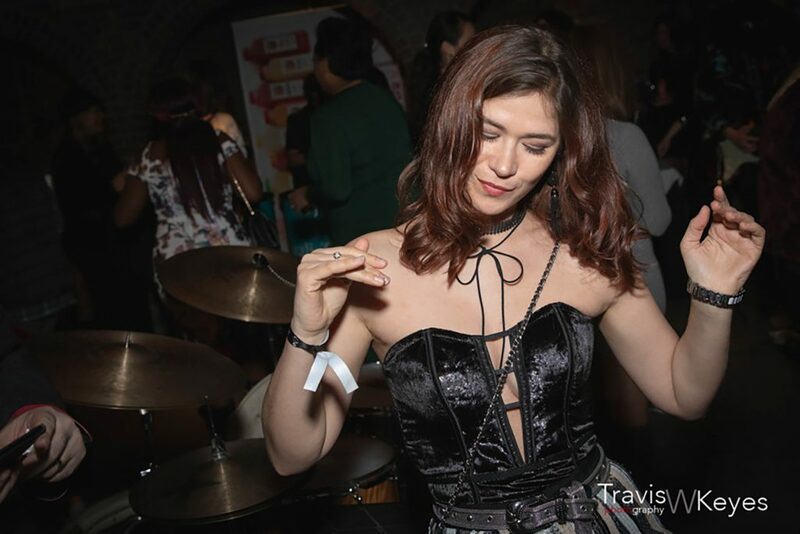 Awe-inspiring accessories were available to purchase from Nuun Watch Official and Penelope Traveling Boutique. 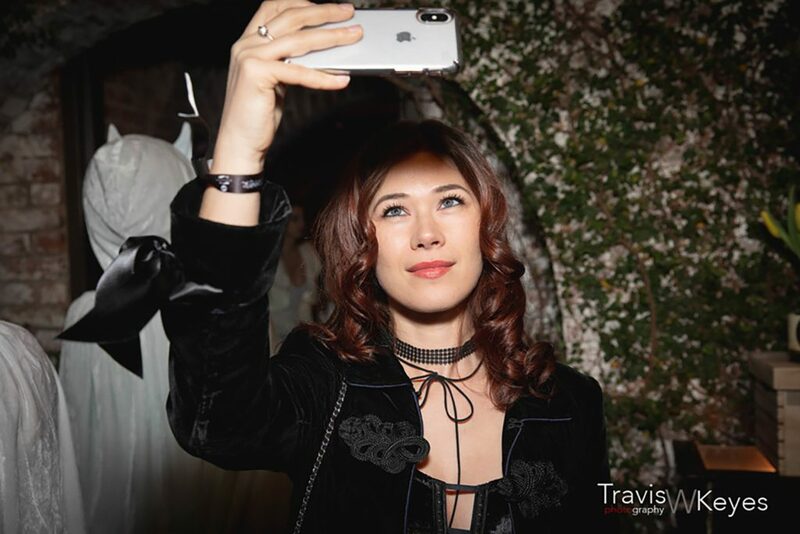 Guests commemorated the magical evening with photo shoots in the 4Five Photo Booth. 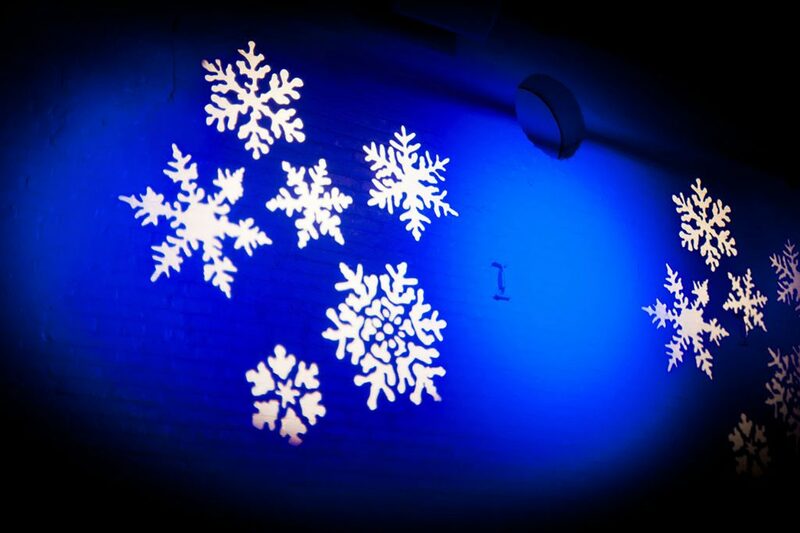 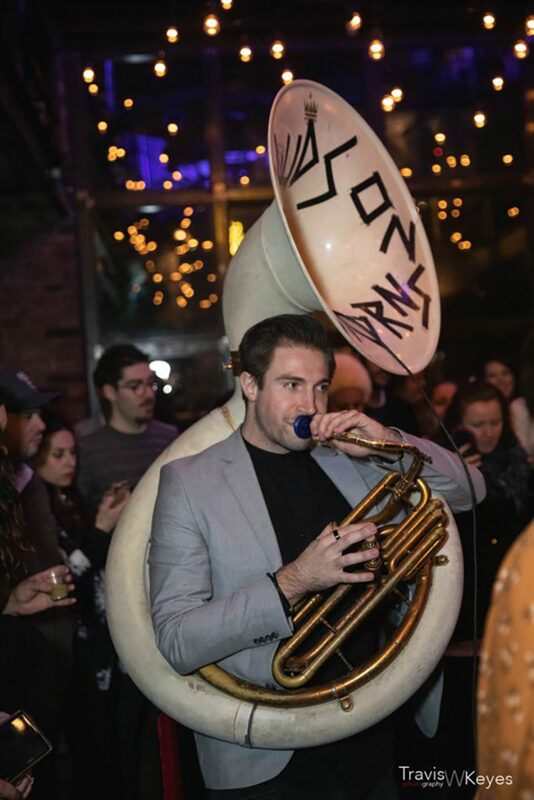 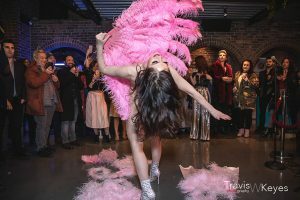 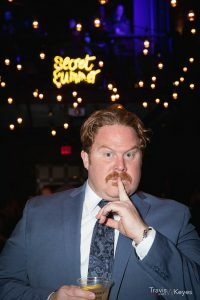 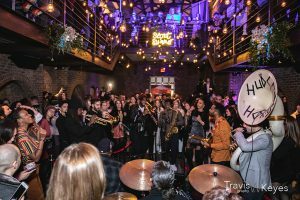 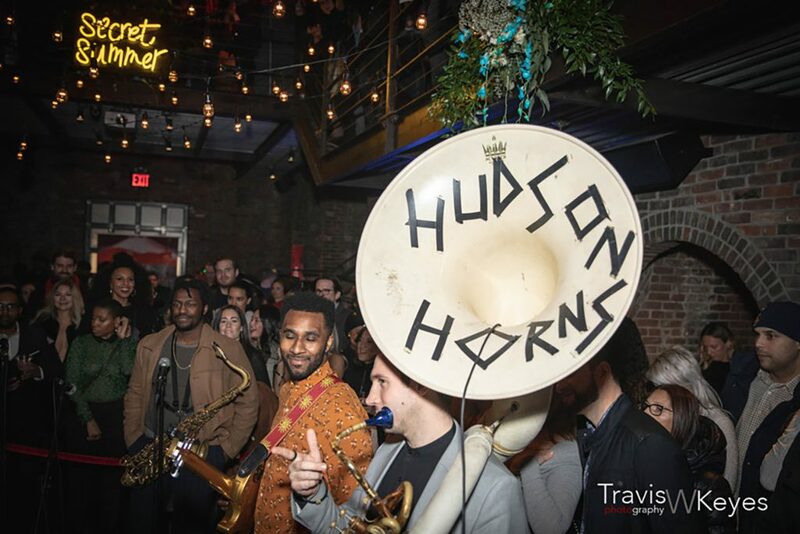 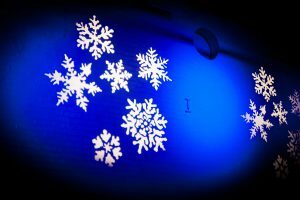 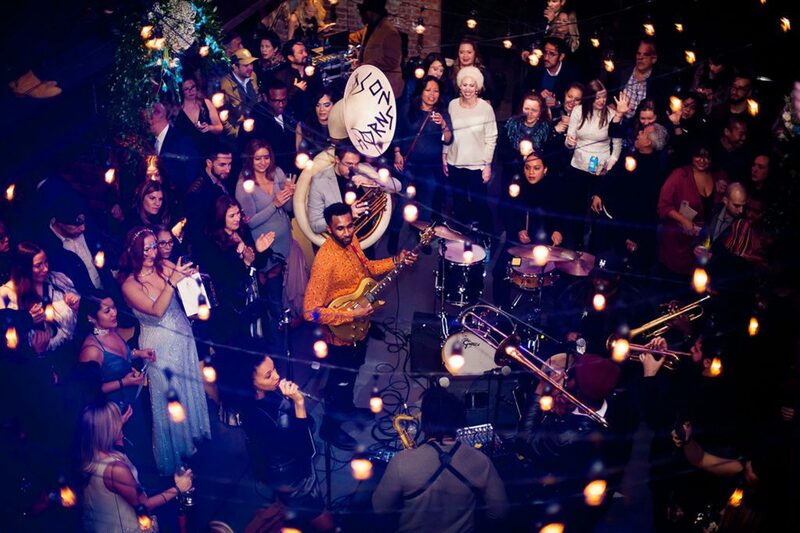 Immersive experiences took shape throughout the night with Winter Burlesque from Karina and two all-star performances from Hudson Horns that brought down the house. 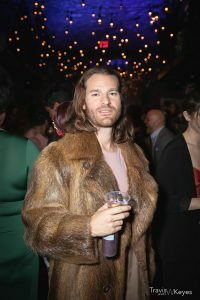 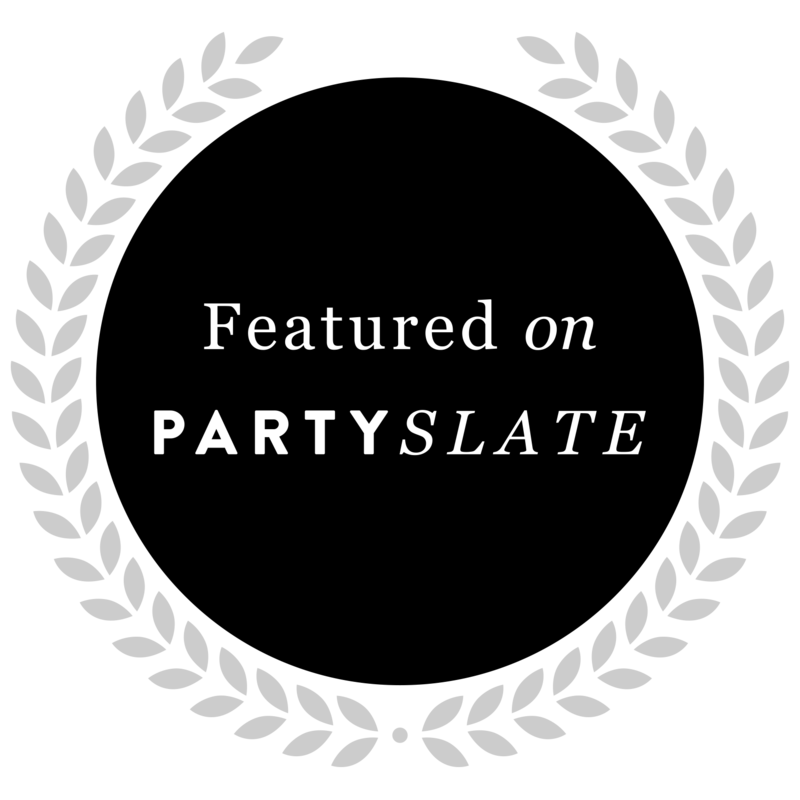 The night’s soundtrack was provided by DJ Sasha Hart with guitarist Neon Jesus in the main room and DJ Ryan Vandal in the Albra Room. 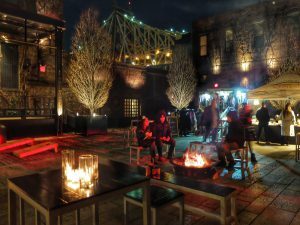 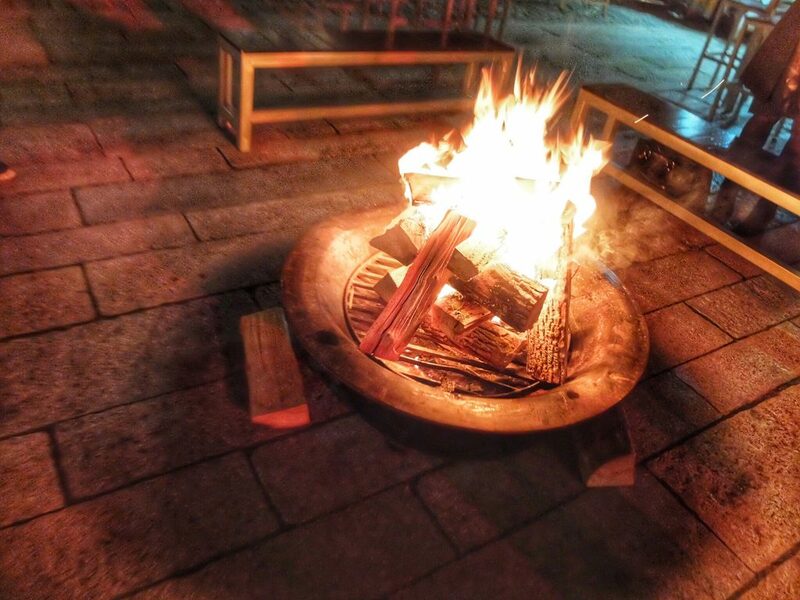 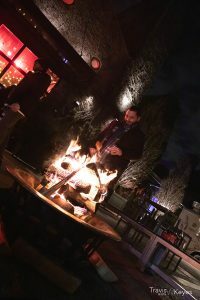 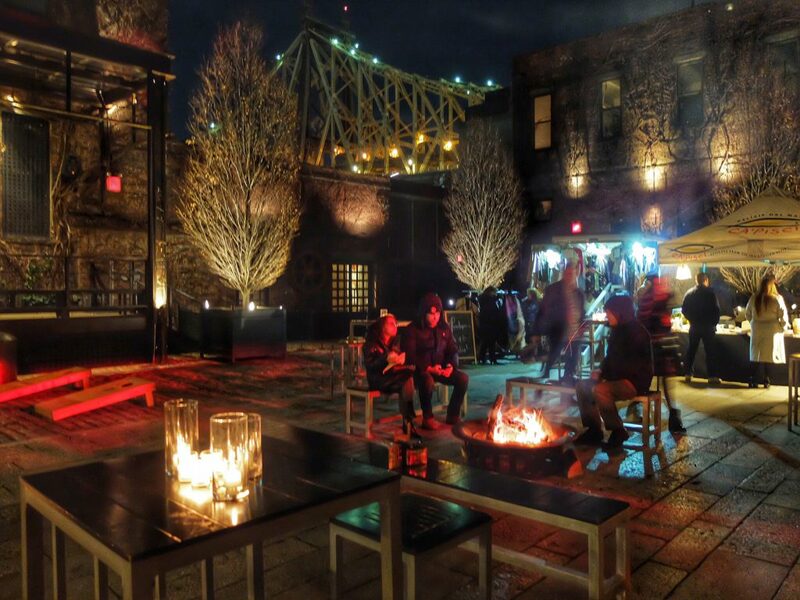 Revelers were able to warm up inside or outside by lit firepits. 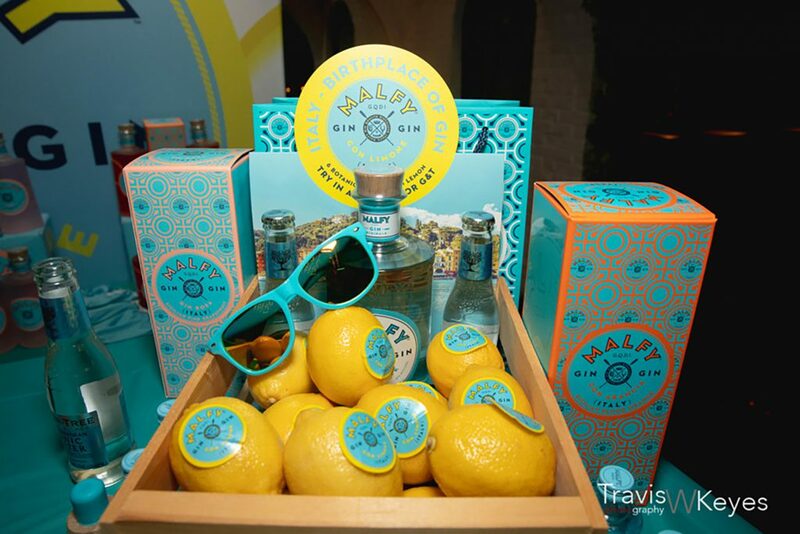 World class brands were also brought on board for this exclusive party. 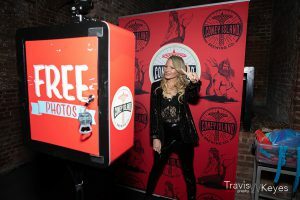 Coney Island Brewery provided craft beer and hard sodas. 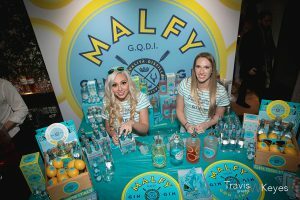 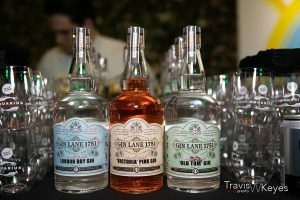 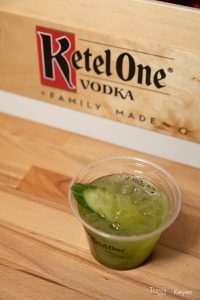 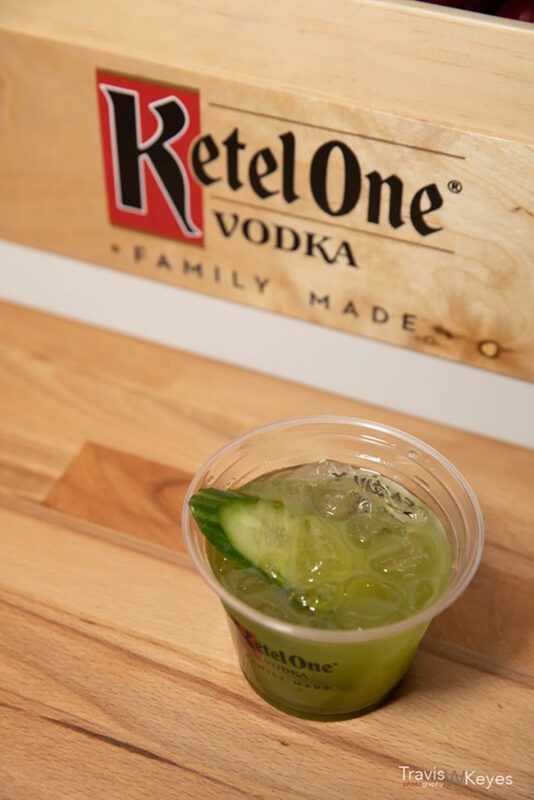 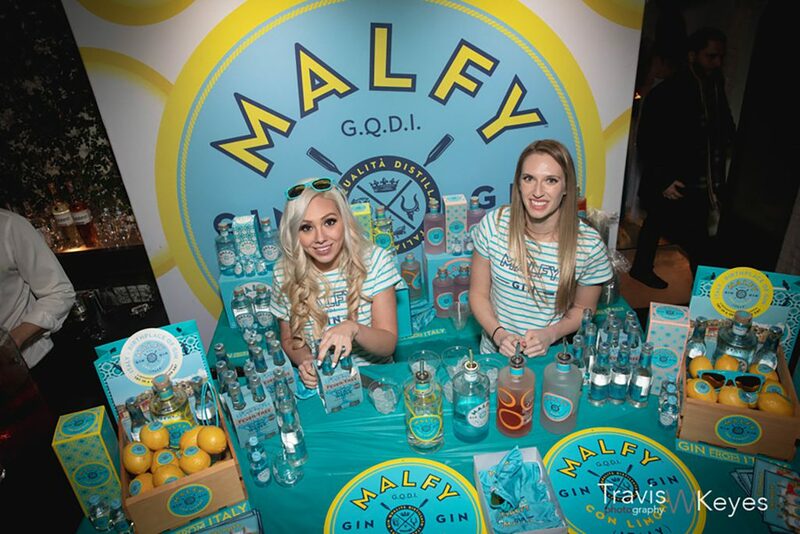 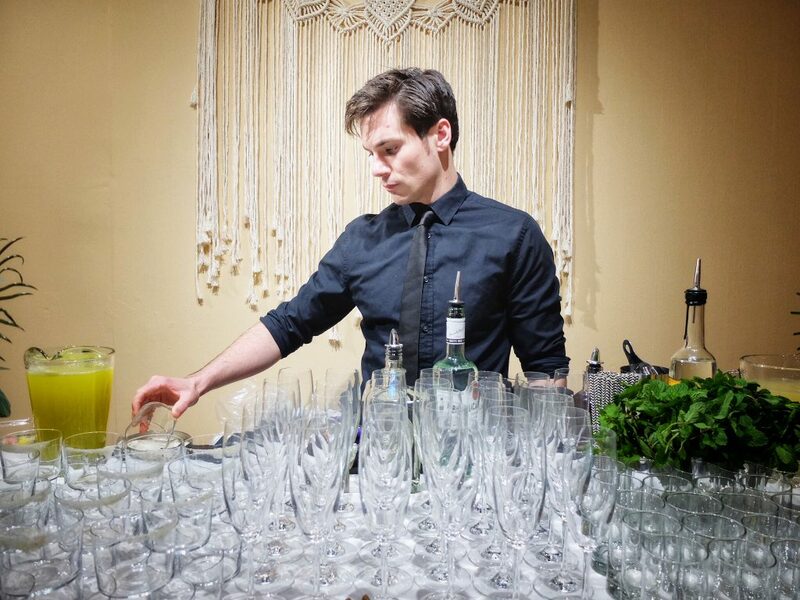 Barr Hill Gin & Caledonia Spirits, Tanteo Tequila, Spring 44 Distillery and The Finnish Long Drink and Ketel One served up their premium spirits. 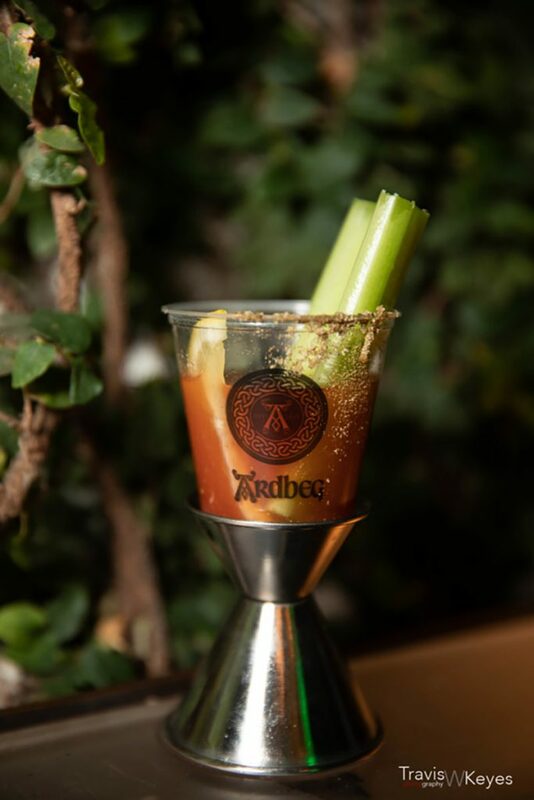 Ardbeg & Oysters offered guests Ardbeg 10YO Bloody Marys and the 10YO Long Islay paired neat with Oysters for purchase from MF Events. 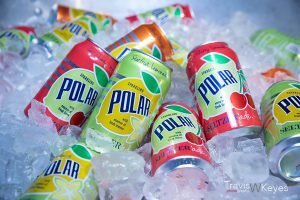 Polar Seltzer Water and Töst and Harmless Harvest Coconut Water ensured guests stayed hydrated all night long. 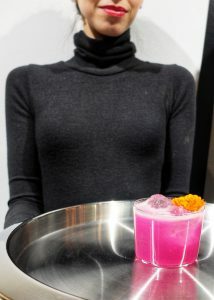 Guests were also able to sample ginger beers from Fentimans Botanical, and sparkling probiotic drinks from KeVita.